Bell, Owain. Very Good. In this large format flap book, on Thomas the Tank Engine, there are over 60 flaps to investigate. Each spread is themed around concepts, such as colours, numbers and sizes. Pop-up book. With flaps. 12 p. Colour illustrations. Intended for a juvenile audience. Bell, Owain. Very Good. Thomas the Tank Engine's Big Lift-and-look Book by Awdry, W. Lift-the-flap book. Glued binding. Paper over boards. 12 p. Contains: Illustrations. Intended for a juvenile audience. Bell, Owain. Good. 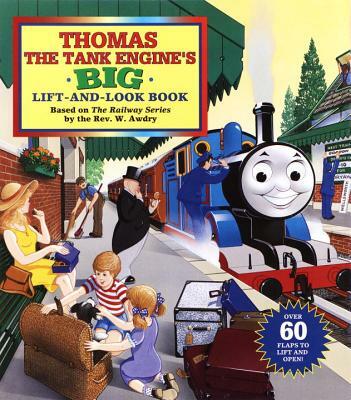 Thomas the Tank Engine's Big Lift-and-look Book by Awdry, W. Lift-the-flap book. Glued binding. Paper over boards. 12 p. Contains: Illustrations. Intended for a juvenile audience. by Wilbert Vere Awdry, Rev.